We are excited to announce a new UK initiative for returning professionals. We are partnering with Bloomberg, the leading financial information and trading platform provider, to launch the first Bloomberg Returner Circle. This is an innovative London-based programme to support and engage talented individuals with experience in financial services who have taken an extended career break. Bloomberg is committed to developing a more diverse workforce and recognises both the value of this experienced group and the challenges you can encounter in restarting your careers in suitable corporate roles. What is a Returner Circle? The Bloomberg Returner Circle is a two-day event to provide support, information and an initial exploration of opportunities at Bloomberg. Participants will have the opportunity to learn more about Bloomberg through speaker sessions and networking with current employees. 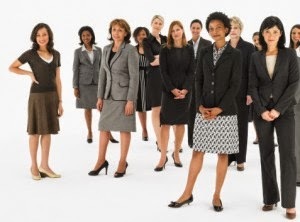 You will participate in coaching workshops from Women Returners to develop your self-marketing and interview skills and will benefit from networking with a like-minded peer group of returning professionals. Through a range of activities and discussions, there will be the opportunity to potentially match your career goals, experience and skills with relevant financial products roles. Where and when is the Returner Circle? The Returner Circle will take place on 17th-18th June 2015 at Bloomberg's London offices. The Returner Circle is targeted at returning professionals with specialised experience in financial services. Bloomberg is looking for expertise across one or more financial asset classes, ideally gained through working in a front office environment. Successful applicants are likely to have had a career break of 18 months to 10 years and will be motivated to return to a permanent role in financial services. NB Don't forget to clearly shown on your CV & in your cover letter that you meet the career break criteria.